Shakshuka, a blend of eggs, tomatoes, and various spices, is a popular dish in both North Africa and the Middle East. 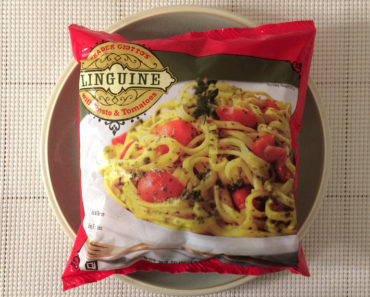 Because it contains eggs, it’s commonly served for breakfast, but it can be a tasty lunch or dinner as well. While a few of our staffers have tried this dish in restaurants, great dishes are even better when you can make them at home! 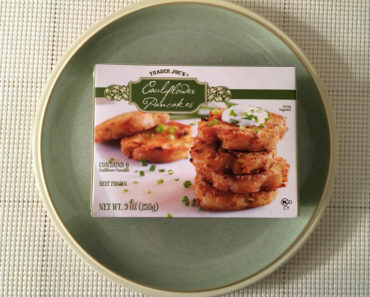 We were pretty thrilled to spot the Trader Joe’s Shakshuka Starter in the freezer aisle. 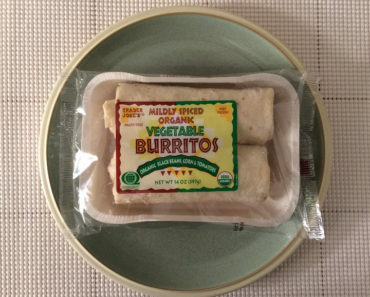 As the name implies, this isn’t a full frozen meal; it’s a starter kit. 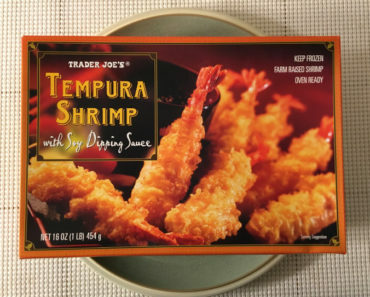 Trader Joe’s supplies a spicy tomato and pepper stew, but you’re going to have to add your own eggs. In spite of this extra step in the process, this is a breeze to make. Simply cook the stew in a skillet, scoop out a spot for the eggs, and then let everything cook together. There are microwave instructions as well, but heating everything in one pan is the easier option, since you still need to dirty a skillet by cooking up the eggs. The tomato and pepper stew isn’t overwhelmingly spicy, but it does have a bit of heat to it. That spice pairs wonderfully with the eggs, especially when you break up the yolks and mix them with the stew. You could easily bulk up the stew by adding some other ingredients you have lying around the house, like freshly diced onions or leftover vegetables. Of course, doing that begs the question: does cooking with a starter kit really save you that much time? The frozen stew is very simple; we’re pretty sure we could make it at home with a can of diced tomatoes and some chopped bell pepper. 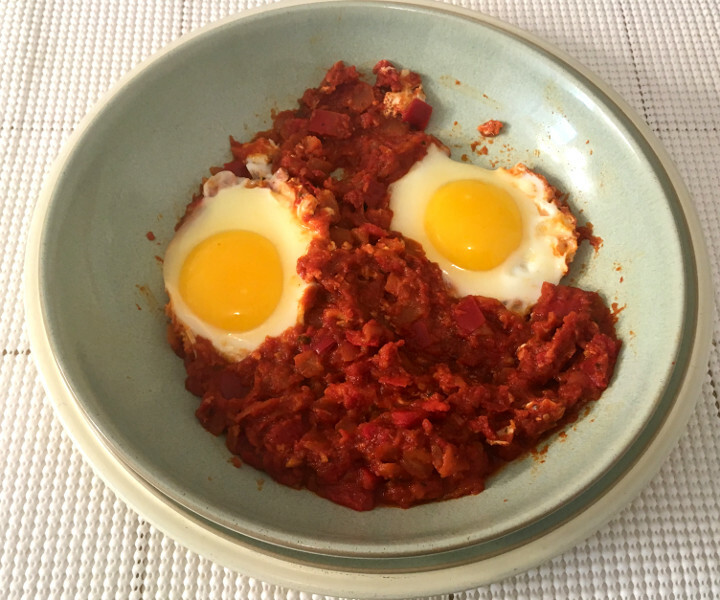 If you’re averse to cooking, having to add eggs might scare you off, but if you’re comfortable in the kitchen, you might be better off making shakshuka yourself. 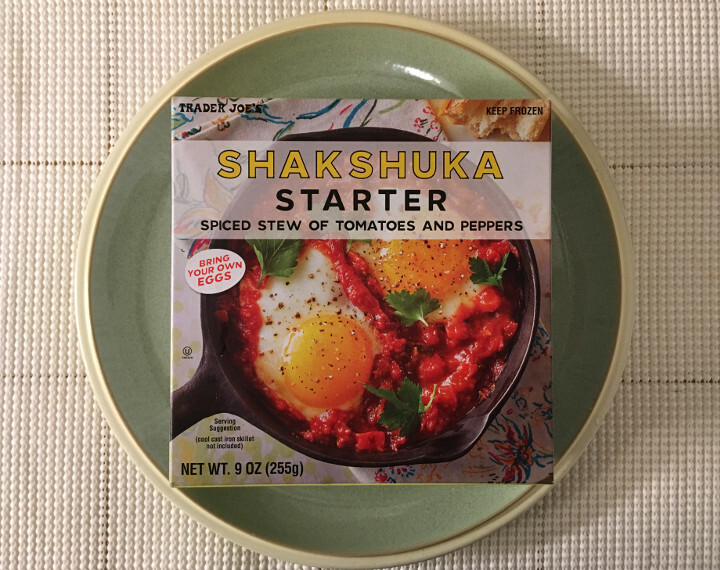 The Trader Joe’s Shakshuka Starter is extremely tasty, and we wouldn’t mind trying it again. 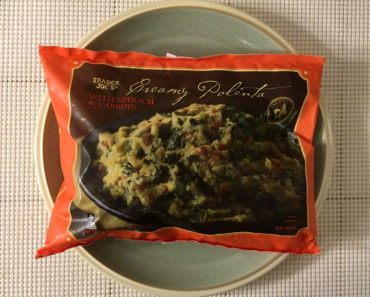 Still, the process of cooking it reminded us that frozen meals aren’t always the easiest option. If you want to try shakshuka, you don’t necessarily need a kit. You can find a basic recipe, grab some ingredients, and prepare the whole thing on your own. If that pushes you out of your comfort zone, then this kit is a great option. 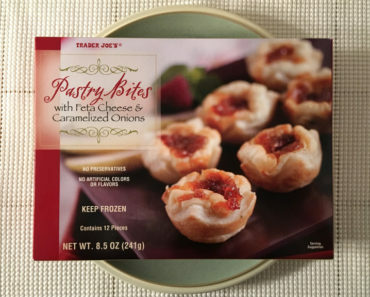 To learn more about the nutrition content, ingredients, or cooking instructions for this Trader Joe’s shakshuka kit, check out our package scans below.